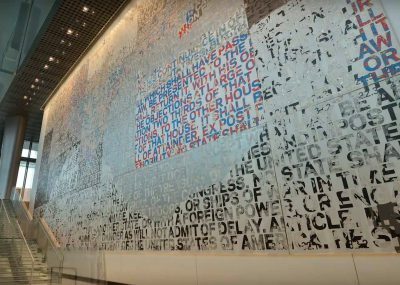 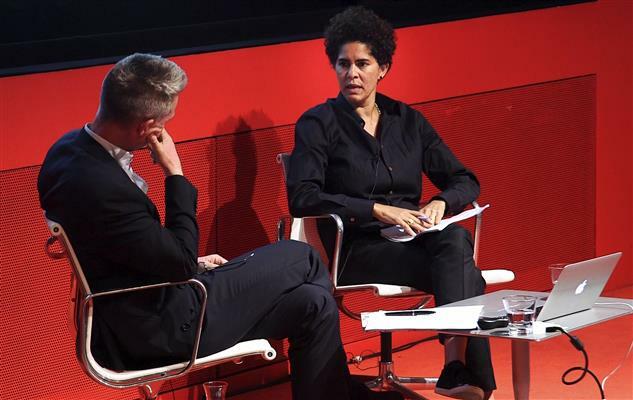 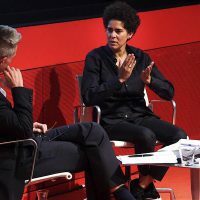 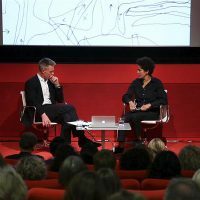 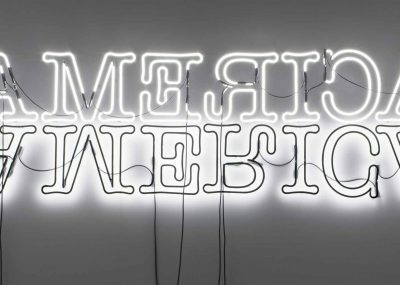 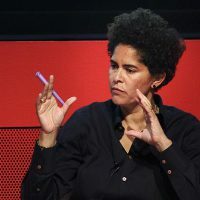 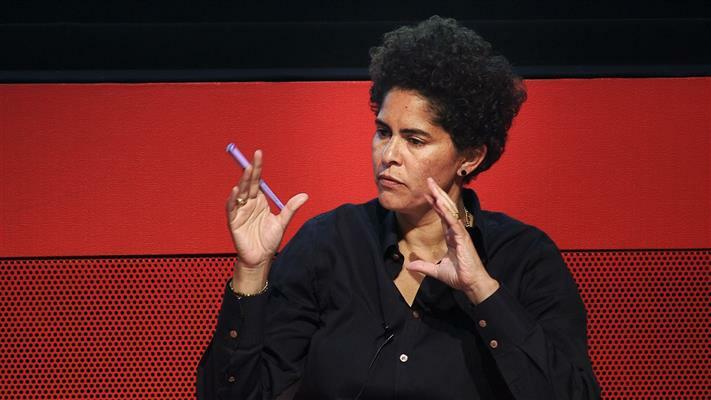 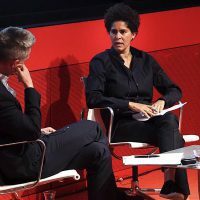 Artist Julie Mehretu was invited by Chief Curator Virginia Shore to be the fifth speaker in the American Artist Lecture Series, a partnership between Art in Embassies (AIE), Tate Modern and the U.S. Embassy London. 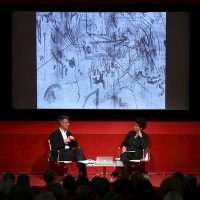 Artist Julie Mehretu was invited by Chief Curator Virginia Shore to be the fifth speaker in the American Artist Lecture Series, a partnership between Art in Embassies (AIE), Tate Modern and the U.S. Embassy London. 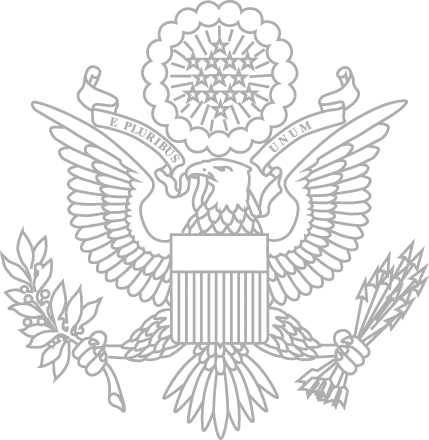 Mehretu has currently two works on temporary exhibition; Plovers Wing at the U.S. Ambassador’s Residence Madrid, and System, at the U.S Ambassador’s Residence London .Her work Treatise Drawing (to Axum, part one, two and three) is part of the permanent collection of the U.S. Embassy Addis Ababa. 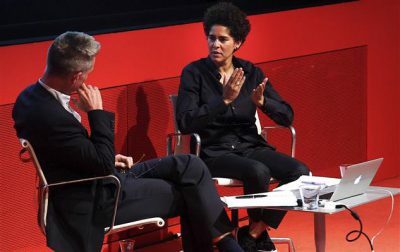 On September 22, 2014, the artist spoke about her work in conversation with Director of Artistic Programmes at The Royal Academy Tim Marlow. 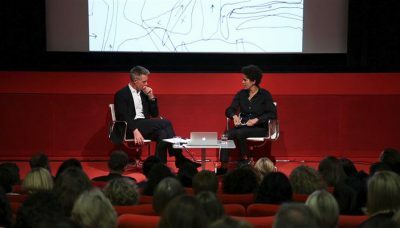 AIE Director Ellen Susman opened the evening’s program at the Starr Auditorium, followed by an introduction of Mehretu’s work by Tate Modern ‘s Head of Exhibitions Achim Borchardt-Hume. As images of her work where shown, Mehretu spoke about the different aspects of her career. 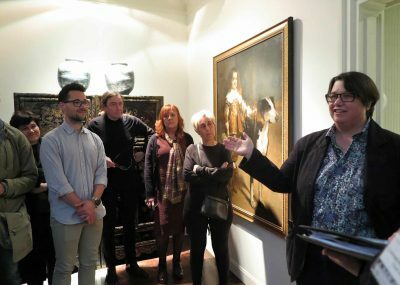 The small reception that followed the conversation, allowed many of the art students to follow up with the artist directly. 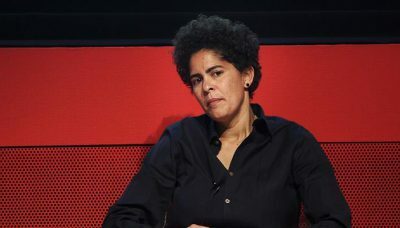 Julie Mehretu was born in Addis Ababa, Ethiopia, and lives and works in New York City and Berlin. 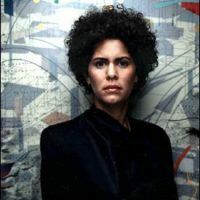 She received a Master’s of Fine Arts degree with honors from the Rhode Island School of Design in 1997. 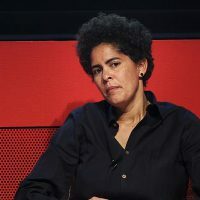 Mehretu is a recipient of many awards, including the MacArthur Award (2005), the Berlin Prize: Guna S. Mundheim Fellowship at The American Academy in Berlin, Germany (2007), and the Barnett and Annalee Newman Award (2013). 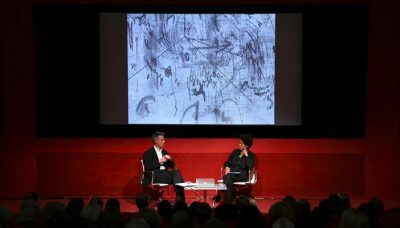 Mehretu’s work is in important public collections around the world, including The Brooklyn Museum, New York; The Contemporary Museum, Honolulu; Des Moines Art Center, Iowa; Foundation Sorigué, Lleida, Spain; Hammer Museum, Los Angeles; Kupserstichkabinett, Berlin; Louisiana Museum of Modern Art, Hummelbaek, Denmark; Museo de Arte Contemporáneo de Castilla y León, Spain; The Museum of Fine Arts, Boston; Museum of Fine Arts, Houston; National Gallery of Art, Washington, D.C.; Philadelphia Art Museum, Pennsylvania; San Francisco Museum of Modern Art, California; Walker Art Center, Minneapolis; and the Whitney Museum of American Art, The Museum of Modern Art, and New Museum of Contemporary Art, all in New York City, among others. 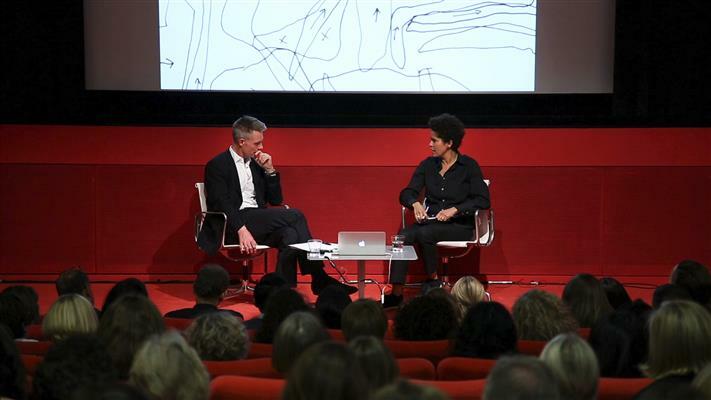 julie-mehretu-2014-london-img5Julie Mehretu answering questions during her lecture at TATE Modern.